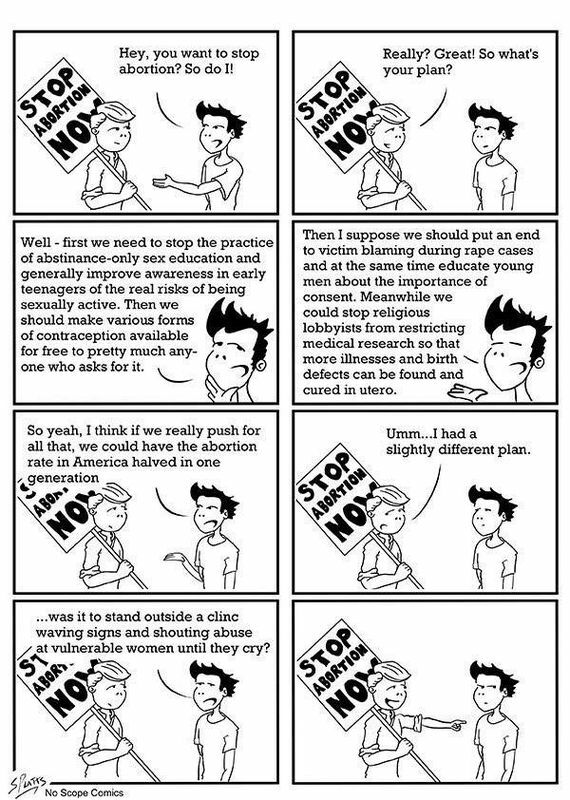 If that were the case, we would see a whole different approach taken by those wishing to reduce/end abortions. For the record, I too prefer the less abusive way to reduce and/or virtually end abortions, though I do not see a likely ending of abortions in even the best case scenario, just a hopefully massive reduction in them. We are already seeing a massive reduction in them. Believe it or not, contraception does work which is why there isn't a high school student in American who shouldn't know about contraception, where to buy it, and how to use it before they even go out the door. If they then decide to abstain then they have just used the best form of contraception of all! I don't know about that, I think Mary and Joseph may beg to differ, immaculate conception anyone? But in all seriousness, yes, abstaining is not only the best way to avoid unwanted pregnancy, it is one of the best ways to prevent STDs as well. Should STDs be covered by universal health insurance? Or should individuals be made to pay for the treatment? As STDs can lead to other health issues that can tend to drive up medical expenses and premiums, not to mention be passed along to others if left untreated (some can be passed along even if treated), the best way to ensure they get treated is to include them. Shoud we only cover vegetarians who exercise regularly and don’t smoke or drink? This becomes complicated, life insurance companies routinely deny policies to smokers. I would be willing to bet that if they did the same for people who ate fast food or red meat business interests in those industries would be up in arms. There is little argument that beyond very small amounts food like ground beef and bacon is detrimental to your health. This being said it is pushed like dope by fast food chains and producers. There is little doubt that if fast food and ground beef was taxed and advertisements banned as with tobacco products Americans would live longer with fewer health problems and the cost of health care would drop. The problem is when the powerful and rich write the rules. Drug tests for people who receive WIC benefits for their children are acceptable and even admirable but suggesting the same tests for the bord of directors and management of any company that got federal contracts or special tax breaks would inspire outrage. Vegetarians expel more methane than omnivorous humans do. Us meat eaters are trying to eat the planet destroying cows. We are doing our part. You aren't at all. Quite the opposite in fact.